On 11th-12th of November aditus held the second Training Course of Youth, Not Status, the Erasmus+ project that aims to bring together young Europeans and young refugee/migrants (range of age 18-30 years old), to provide them with human rights information and skills necessary to structure ideas and strategies for them to inform national policy-making on youth themes. The training took place at Aġenzija Żgħażagħ Youth Village Complex in St. Joseph High Road, Santa Venera, and gathered together 20 young learners of all ages between 17 and 28 and from different backgrounds and helped them explore and change the discourse on migration and to understand the challenges and potentials of cultural diversity, inclusion, social integration. The first session on Saturday 11th fostered social cohesion and promote intercultural dialogue. Dr. Anne Bathily and Dr. Virginie Gailing canvassed concepts and addressed subjects through interactive working group exercises to promote social inclusion and challenge racism and stereotypes. They combined them with body-storming games as a powerful learning tool to improve critical thinking and education to achieve sustainable development, intercultural understanding and awareness campaigning. It has been amazing watching the trainers with their interactive tools and proposals. The different protocols helped enormously in encouraging debate, to raise issues and work together to find solutions on daily based situations. The Training gave us practice and examples of how to be aware and acknowledge that growing inequality has become a pressing issue. The participants kept telling me, yesterday, that they felt very privileged to have participated in the workshop. Antonella Sgobbo, aditus Programmes Officer and Youth, Not Status Project Coordinator. The workshop concluded with pitches of these proposals in front of a proper jury composed of a journalist, a video maker and a project manager who provided the participants with valuable advice on the potential impact of the projects. The next session on Sunday 12th sought to identify how young people can make use of the policy to advocate for their needs. Dr Gabi Calleja facilitated the session about “the National Youth Policy Towards 2020: A shared vision for the future of young people”, as part of the Government’s policy for greater participation, equitable economic and social progress for all and inclusive change. The panel examined topics such as human rights and justice; political participation and decision-making; gender and health inequalities; and employment, education, and migration opportunities, in the context of youth development, empowerment, and equality within society. The participants provided input on the strategies of the policy before its implementation and they advocated for increased inclusivity in the aims and the objectives of the policy. The workshop provided an invaluable platform for migrant and Maltese youths to interact and learn under the guidance of national and international coaches on integration, youth policy and journalism. The interactive nature of the workshop made the weekend thoroughly enjoyable! Helena A. Youth, Not Status participant. Jurgen Balzan led the last talk ‘Young people’s representation in media across the Mediterranean’. A vast majority of citizens in Europe and the southern Mediterranean now recognise youth-led initiatives and education reform as the best way to tackle discrimination and extremist narratives. Jurgen gave an example of how social media played a significant role during the Arab Spring as it facilitated communication and interaction among participants of political protests, and he shared his experiences in reporting on cases involving migrants. The group of participants debated on how displaced and vulnerable people can be empowered through the use of social media and other platforms. My participation in Youth, Not Status made me feel more comfortable and free to speak about migration. I met new people, we shared our experiences. Everything is more realistic now! Being judged as migrant, refugee in this Country needs to be refreshed up. We shared our voices, we were very engaged, despite of the pressure and the animated debate. Our voices can change the whole world. It was a pleasure meeting also Jurgen Balzan, the journalist who spoke about the situation that happened in North Africa and in the Middle East. Thanks. Omar, Youth, Not Status participant. On Saturday 30 September and Sunday 1 October 2017, we held the first training course weekend of our project Youth, Not Status. 30 young people living in Malta, coming from different backgrounds and nationalities. Students, youth leaders, social workers and various trainers, gathered for 2 days at the Archbishop’s Seminary in Rabat. The training course weekend was an opportunity for our participants to create a platform to exchange experiences, practices and methods for young people and youth organizations on how to address migration, integration and human rights issues at the grassroots. It also included discussions focusing on national youth actions and how to strengthen the awareness and mobilization of young people in relation to these issues. The project, funded by Erasmus+, will bring together Maltese youth and young refugees and migrants in an open social dialogue with local authorities focused on key themes of migration and integration relevant to Malta, highlighting stories and experiences from a youth perspective. The training is also an opportunity for brainstorming about ways in which young people can be mobilised into find solutions in common critical areas: such as political participation, prevention of violent extremism, cultural heritage, freedom of expression and media and information literacy. The training course weekend was designed to encourage discussions between Maltese and migrant youth in order to increase knowledge and awareness on migration, to reflect about the effects of migration on the rights of young refugees, and to understand the challenges and potentials of cultural diversity, inclusion, social integration, youth work and youth political participation. Youth Narratives and Youth experiences with Racism, Marginalisation, xenophobia. 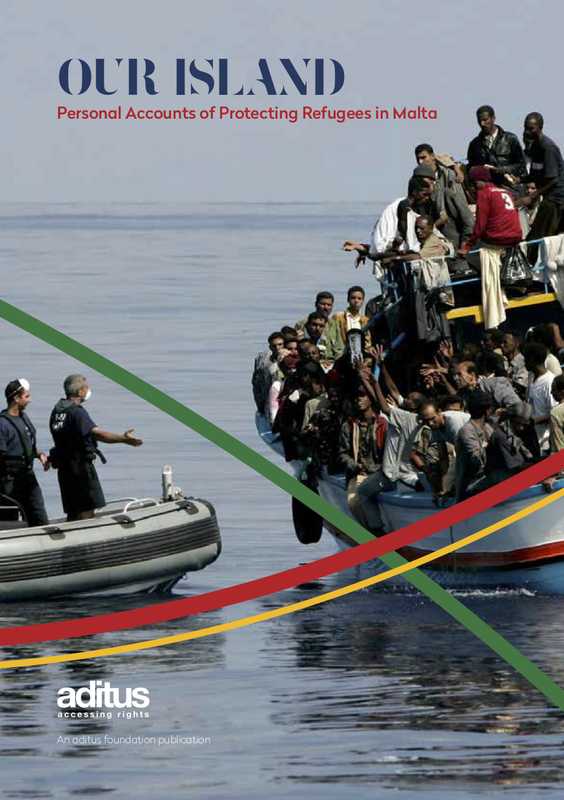 Due to the lack of information on the existing issues, preconceived ideas, the continuous criminalization of the irregular migrants and their presumed threat and youth civil society, Maltese and the refugee and migrant community are not empowered to act as a cohesive group. The sessions held during the weekend aimed at strengthening the protection of the rights of migrants and to change the societal attitudes towards them by integrating human rights discourse and the dignity dimension into the public debate on migration. to develop and implement advocacy goals aiming to ensure the implementation of opportunities for youth to engage in governance and participate in political and decision-making processes. Youth, Not Status next training course will be held on the 11 and 12 November. National legislation on youth revision participation to advocate for the development of national youth strategies and policies and to lobby for the sound implementation of these.